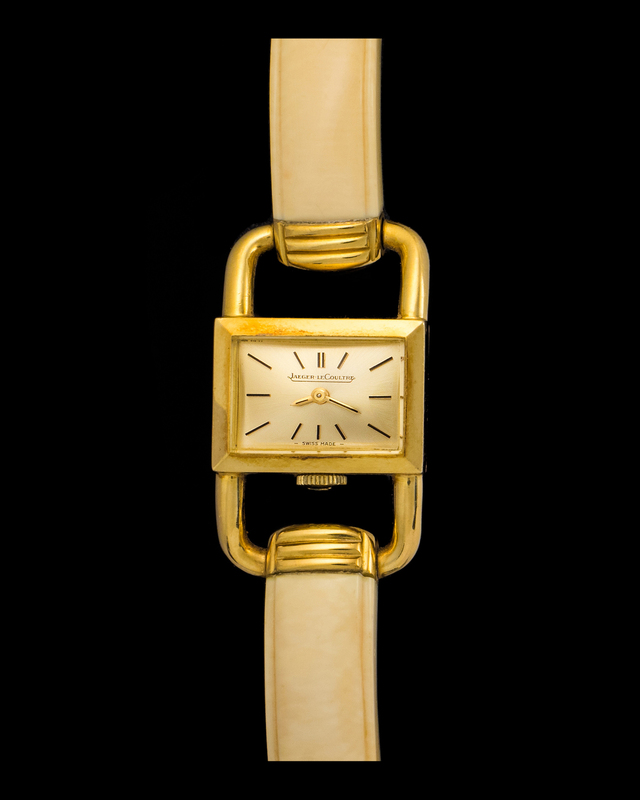 Rare ladies Jaeger-LeCoultre watch deemed by many as the "Lucchetto". This watch is in mint condition with no scratching or dents. The case is 18k yellow gold put together by a beautiful bracelet. Lucchetto watches were made for a very short period during the 50's and 60's.